A rich set of cultural resources, an attractive and varied landscape and a famous gastronomy and wines make France a major tourist destination. 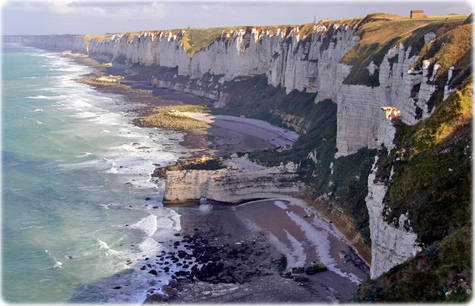 Tourism is a leading industry in France. The French themselves travel widely in their own country. Paris is one of the most visited cities in the world. Monumental landmarks in Paris include the Cathedral of Notre Dame, the Louvre museum, the Arc de Triomphe, the Eiffel Tower, and the Georges Pompidou Center. Les Invalides, a cultural complex in Paris. The Eglise du Dome is the church at the building. The site also consists of museums and monuments relating to the military history of France. Other popular tourist destinations in France include the Riviera on the Mediterranean coast, with its numerous hotels and waterfront resorts, and the French Alps, which provide some of the world’s best skiing. 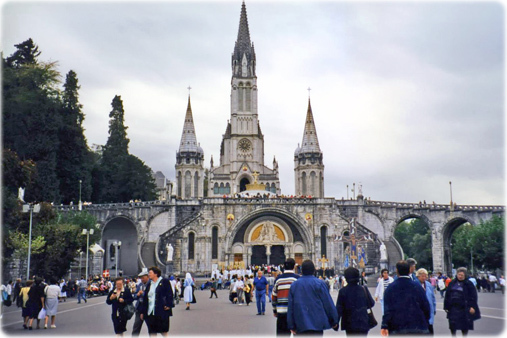 Basilica of the Immaculate Conception at Lourdes, the reputed site of 18 Marian apparitions in 1858.